Join IMIrJ in Salem on Wednesday April 17th from 5:00-7:00pm for a public hearing on HB2015, the Equal Access to Roads bill. Let’s show our legislators that Oregon faith communities support driver’s licenses for all Oregonians! 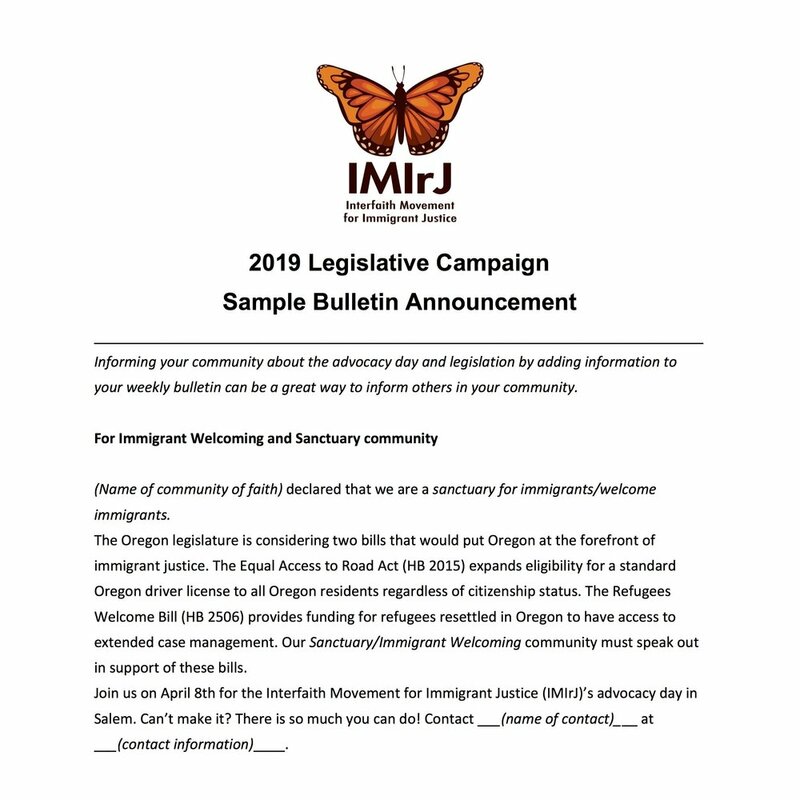 joined together in Salem for IMIrJ’s first-ever Advocacy Day! 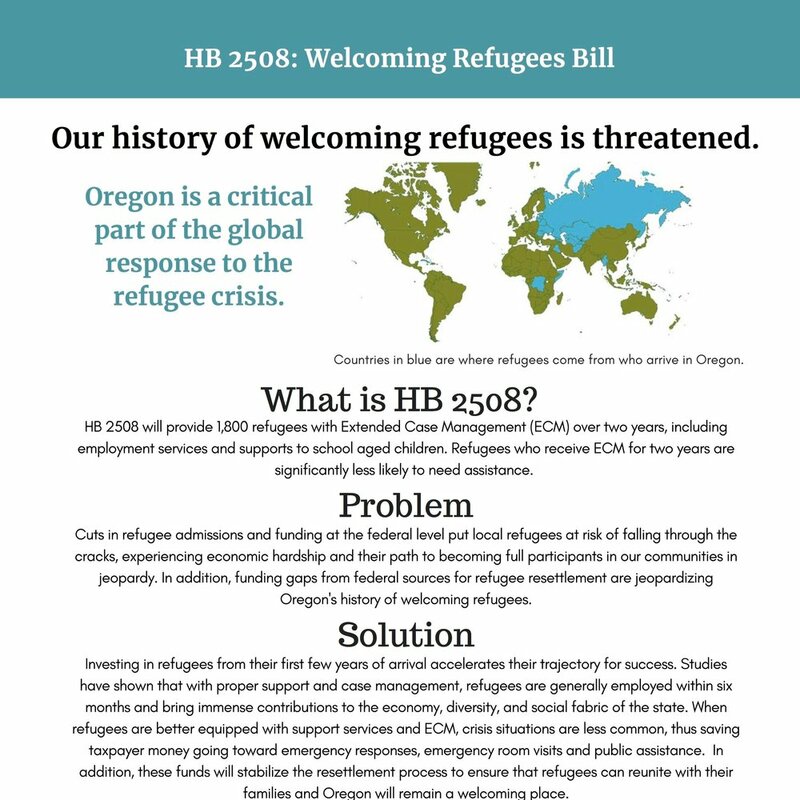 Drawing on the rich practices, stories and rituals of our various faith traditions, we joined our voices together in a meaningful - and politically impactful - day at the Capitol, amplifying the demands and priorities of Oregon’s immigrant and refugee communities. Thank you to Kathy Edge for the photographs! See the full album from the day, here. 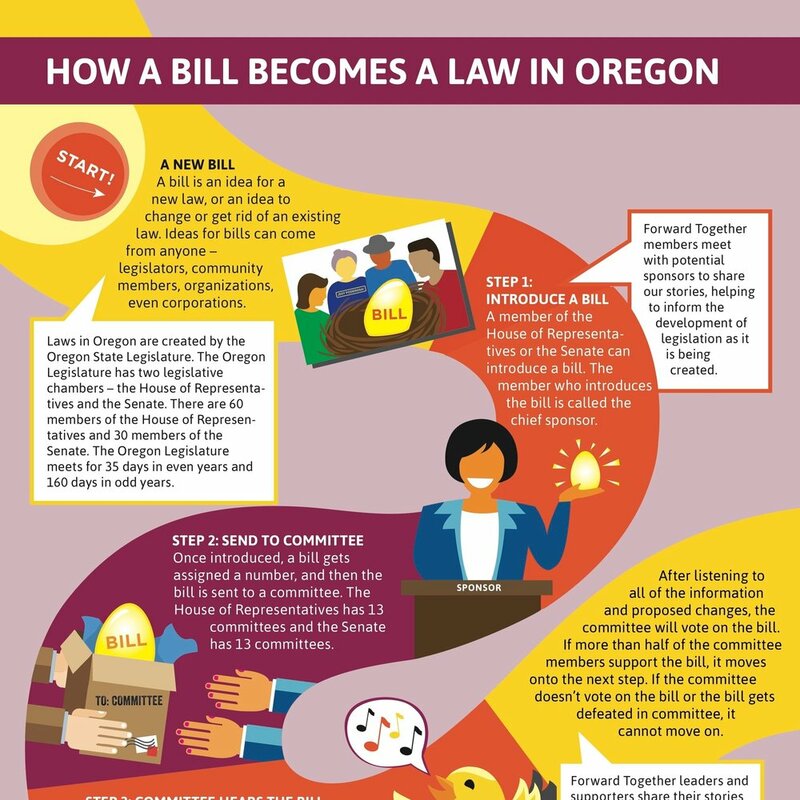 At the same time, we know that passing state policies that will allow Oregonians to live in safe and welcoming communities regardless of their immigration status is more than a one-day affair. We are committed to accompanying your faith community’s Sanctuary Team throughout the duration of the legislative session (and beyond! ), as we work together to ensure true Sanctuary for All. Scroll down for more info on how you and your faith community can contribute! Our 2019 Legislative Bingo Card includes concrete actions, political art projects, liturgical offerings and educational activities - with plenty of room for you to be creative and adapt for your own community’s context. Download Card in Full Color here. Download Card for B&W printing here. Then sign up your faith community’s team to play so we can support you, cheer you on, and make sure you are eligible for prizes! Join our weekly campaign briefings. RSVP and we’ll send you the log-in info and recording, in case you can’t make it in real-time. in your 2019 legislative advocacy efforts!